It hasn't even been a week since the world discovered the burning disaster that was Fyre Festival and the event has already massed not one, but two class action lawsuits. Just days after celebrity trial lawyer Mark Geragos slammed festival organizers Billy McFarland, Ja Rule and Fyre Media with a $100 million suit, Hollywood Reporter, reports that attorney John Girardi is helping three festival-goers sue for "breach of contract, negligent misrepresentation and fraud." The suit, which was filed Tuesday in Los Angeles County Superior Court, says the organizers tricked people into attending the event by paying more than 400 social media influencers and celebrities to promote it. In addition, Girardi is also claiming that the social media posts about the festival by "influencers" like Kendall Jenner, Bella Hadid and Emily Ratajkowski were illegal and defied FTC regulations. The suit says that the stars were being paid to promote the festival, but failed to reveal that, which is a violation of Federal Trade Commission rules. "Social media 'influencers' made no attempt to disclose to consumers that they were being compensated for promoting the Fyre Festival," wrote Girard in the legal document. "As Plaintiffs began to grasp the dire nature of the situation, upon witnessing the complete lack of infrastructure necessary to host such an event, a panic enveloped the crowd," he continued. "Plaintiffs were stuck on the island, with no way off." 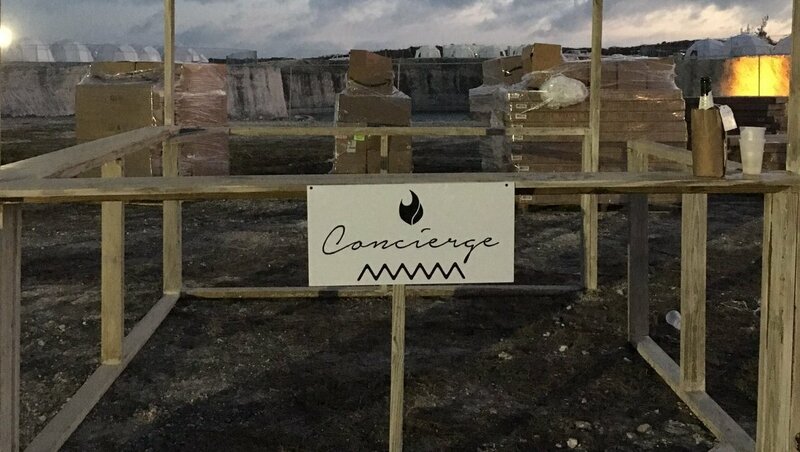 The complaint by Girardi and company seeks to bar the Fyre Festival organizers from pulling another similar event, plus restitution, punitive damages and disgorgement of any profits.